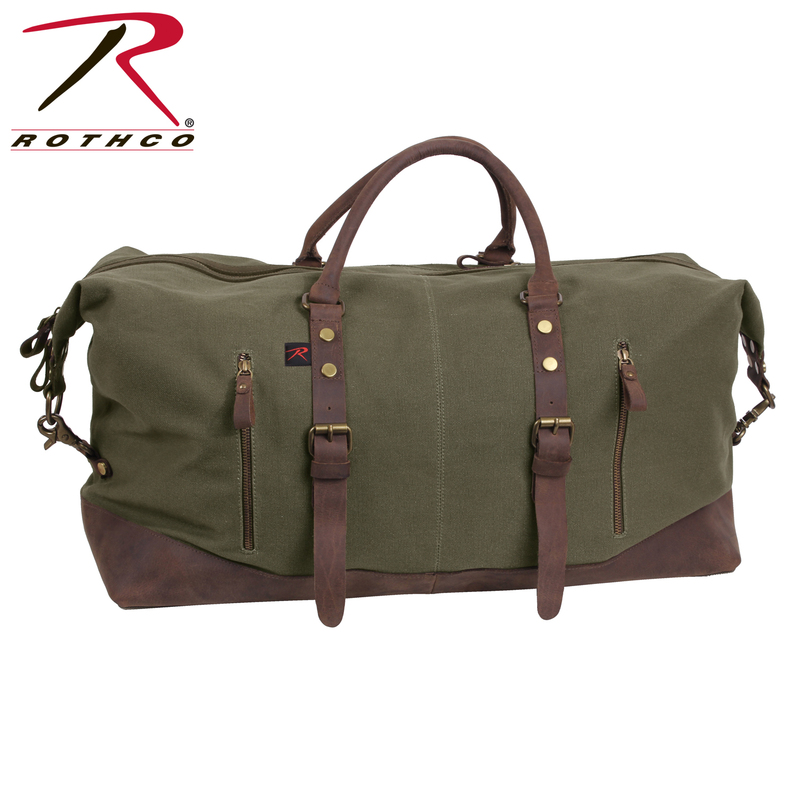 Rothco’s Extended Weekender Bag is made with a heavyweight washed cotton canvas outer body and interior denim lining, and features brown buffalo leather accents and brass hardware and zippers to give an authentic vintage look. 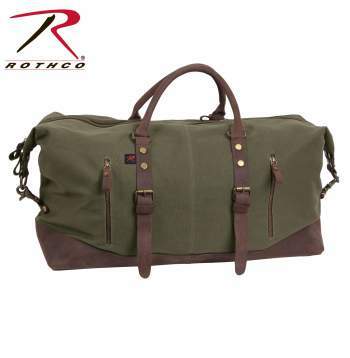 Rothco’s Extended Weekender Bag is made with a heavyweight washed cotton canvas outer body and interior denim lining, and features brown buffalo leather accents and brass hardware and zippers to give an authentic vintage look. 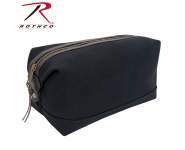 The 23” X 11” X 14” oversized travel bag features two front side access zippered pockets, one rear zippered pocket, three interior open top pockets, and two inside zippered pockets for optimal storage capacity. 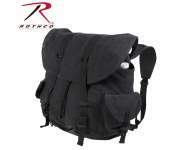 For carrying purposes, this vintage bag has two carry handles and a fully adjustable and removable shoulder strap. 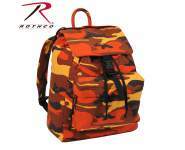 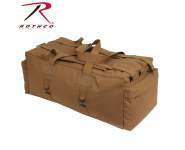 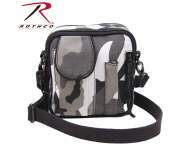 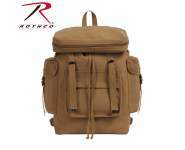 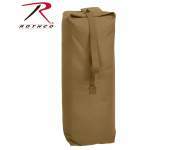 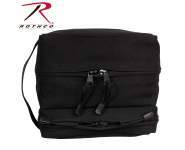 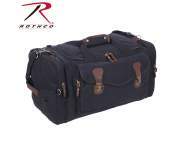 Take Rothco’s travel bag on your next trip or extended stay! 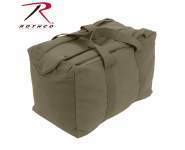 23" X 11" X 14"